Indie developer Muteki has announced that it has partnered with Limited Run Games to release a limited physical PS Vita and PS4 edition of Dragon Fantasy: The Black Tome of Ice in September 2016. Dragon Fantasy: The Black Tome of Ice is a remastered version of Dragon Fantasy: Book II which was released for PS3 and PS Vita in 2013. The definitive edition of the second Dragon Fantasy game will feature new dialogue, new bestiary, new items, new boss, and a difficulty slider that gamers of all experience levels can enjoy the game. Join Ogden and the heroes of Westeria in this classic JRPG epic. Travel through the frozen wastelands of Tundaria, experiencing action-packed battles without random encounters, using spatially aware Area-of-Effect attacks and power moves. Travel by pirate ship, defending against enemies in thrilling ship-to-ship rock monster combat! Defeat oncoming hordes of demons and huge bosses that threaten the entire world of Dragon Fantasy. 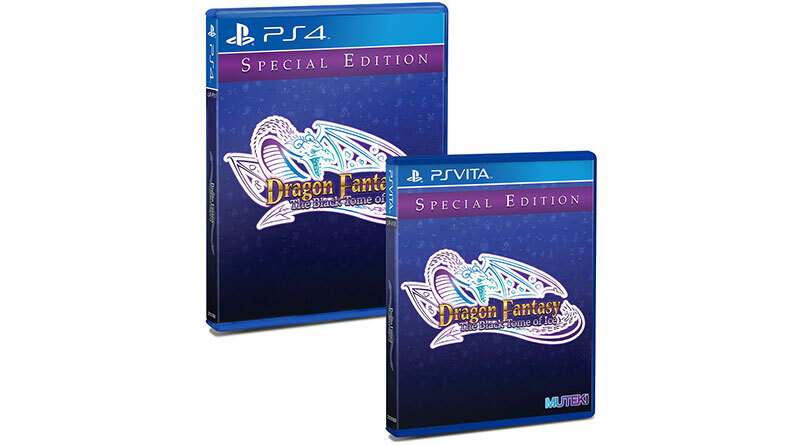 Dragon Fantasy: The Black Tome of Ice will be available exclusively via Limited Run Games’ official store.